Only one pupil showed up on the first day of school. The teachers begin to worry: if they have no one to teach, they wouldn’t have a job to do. Where does she go? Who will she meet? And will she learn anything new in the world outside school? Beautifully illustrated by Taiwanese author Liu Hsukung, this picture book tells a simple yet delightful story about a girl’s adventures beyond the classroom and shows how learning can be exciting and fun wherever you are. A young girl shows up on the first day of school—but oh no! She’s the only pupil in the school! She has no friends, no one to play with, and her teachers want to teach her everything they know. But the girl decides to creep out of school… where will she go? Liu Hsukung was born in 1973 in Taipei. He graduated from the civil engineering institute of National Taiwan University. He likes nature and people, and often spends his time telling children stories. He received an honorary mention for Hsin Yi Children’s Literature Prize in 2002 for I Want to Eat Durians!, winning the prize in 2006 with his book Excuse Me, Will My Feet Touch the Bottom?. His book Whose Stop is it? 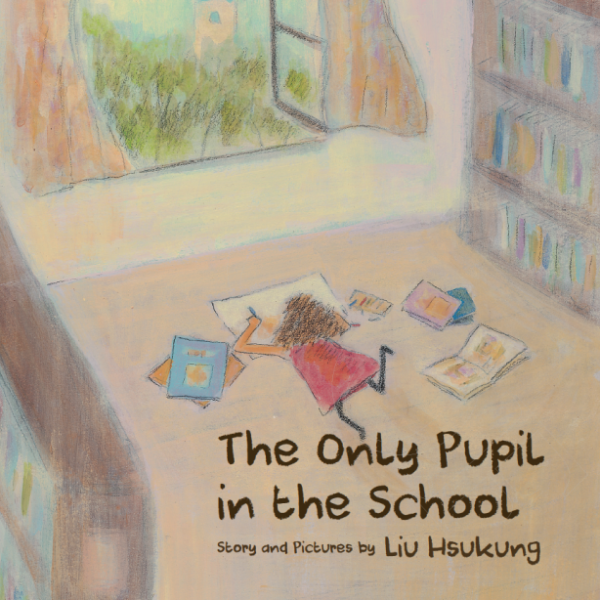 (for kids 0-3 years old) won the Chen Bochui International Prize for Children’s Literature in 2014 and was subsequently selected for the 2015 Bologna Illustrators Exhibition.